April 3, 2012 / P.J. Give yourself a chance to win! 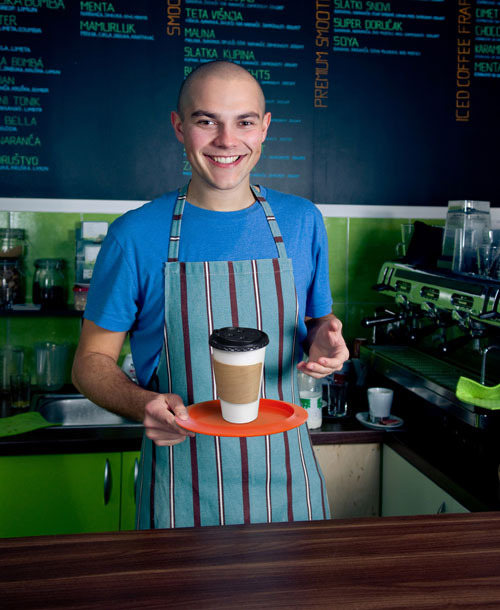 Have you participated in something where you brought something to work for one day? Now you have that chance again. This time to hopefully help spread the word of a sport you play and enjoy. 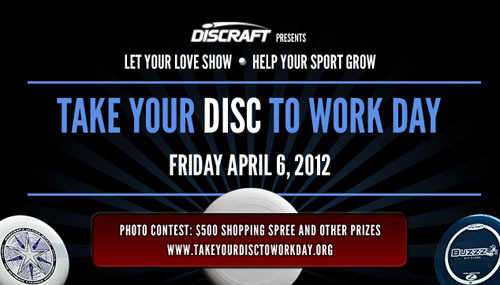 This Friday — April 6 — Discraft is sponsoring an event called Take Your Disc To Work Day. The idea is simple — take a disc to work or school and get someone interested in a disc sport, be it disc golf, ultimate or something else. Do it creatively and you could win a spending spree in the Discraft store. The idea isn’t just to spread the word of disc golf, but to make it a way to talk about all disc sports. Chumas said he saw the idea as when Ultimate Canada did it the past few years and he thought it could work on a much bigger stage. A former ultimate player with ties to the disc golf community, Chumas said he wants to keep seeing disc sports grow and maybe appear on television some day. Ultimate Canada has been running something similar to this and Chumas said he had participated in that event and thought it could go global. Sullivan said getting involved with this was an easy decision for Discraft.